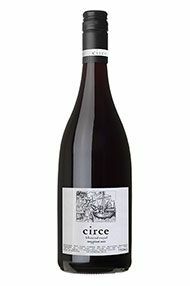 Circe is a boutique label from Dan Buckle (who is also winemaker at Mount Langi Ghiran) and Aaron Drummond (Mount Langi’s marketing manager). 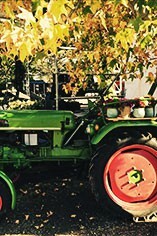 The fruit is drawn from the Hillcrest Road single vineyard, in Red Hill in the Mornington Peninsula. The vineyard covers Chardonnay and Pinot Noir grapes, on deep red volcanic basalt soils. With Port Phillip Bay to the west, Western Port Bay to the east and Bass Straight to the south, it’s impossible to miss the predominant influence on viticulture in the Mornington Peninsula. As such, this cool location is proving its worth as one of the quality New World Pinot Noir regions. 2013 was the best vintage yet for Circe, with consistently warm temperatures ensuring even ripening and healthy fruit. It is hardly surprising therefore that winemaker Dan Buckle has made a standout single vineyard wine from the Hillcrest Road vineyard this year. Extremely restrained and very Burgundian in style, this wine is defined by its savoury complexity. It is vastly different from what you might expect from an Australian Pinot Noir in almost every sense. The wine is pale in colour and delicate, almost pretty in style (typical for Mornington) yet it is also structured and conceals a power and a concentration that comes through on the mid-palate and remains evident on the extremely long and beautifully fresh finish. 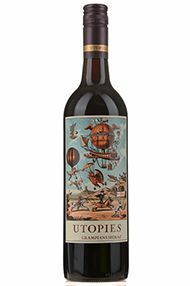 The nose and palate display subtle notes of hedgerow, smoke and bacon fat which complement the macerated ripe red berry notes, and the tannins are exceptionally fine. This is a must-try for Pinot-philes.